Busy workgroups need hassle-free printing. Pacific Office Automation offers this laser printer from Hewlett-Packard that provides high-speed, reliable printing. Departments can get more done in less time with this workhorse of a printer. It can complete typical office jobs nearly twice as fast. This machine produces quantity while preserving quality. From the first page out to the last, HP toner technology provides consistently professional-quality documents. The best printer will evolve with a business. This device offers add-on features like expandable memory and higher-capacity paper trays to keep up with a demanding print environment. Users can also add third-party solutions via external and internal Host USB 2.0-like ports. 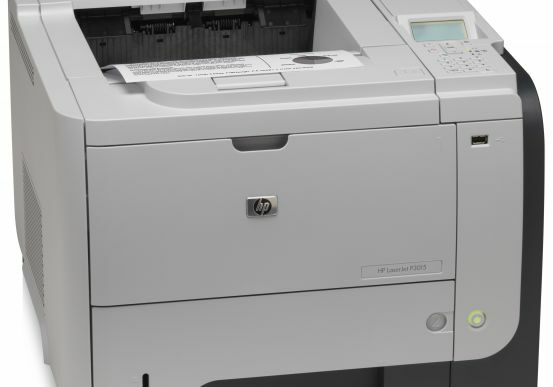 Like HP, Pacific Office Automation believes a printer should improve workflow. Nothing slows down workflow processes like a discouraged worker trying to figure out how to use the printer. This laser printer is so easy to use and maintain, IT managers will be left twiddling their thumbs. It offers step-by-step menus that help users navigate print tasks and perform their own troubleshooting. Downtime can be kept at a minimum thanks to easy-to-install print cartridges. Going green is a top issue for most businesses. This printer will reduce an organization’s carbon footprint thanks to two-sided printing, Automatic On/Off energy-saving technology, and recyclable print cartridges and toners. Use a laser printer designed to help minimize impact on the environment. Conserve paper with automatic two-sided printing, save energy with Instant-on Technology and easily recycle print cartridges with HP Planet Partners.